College is a time to explore who you really are; to throw yourself into challenges, stretch out of your comfort zone, work hard (and sometimes play hard, too). One of the biggest challenges starting off your college career is getting comfortable living with people you don’t know yet, both on and off campus. Whether you’re living in campus dorms or renting private apartments in your college city, you’ll come across a unique set of obstacles to overcome, as you all get used to sharing your space. Before you set off on the adventure of sharing student housing, here are the golden rules of sharing a student apartment. There are many off campus apartments to choose from, so you need to ensure you and your fellow student housemates are happy with the place, location, and amenities. If you are studying at The University of Texas, for instance, then looking for student apartments around Downtown Austin means you are close to live entertainment, a large selection of restaurants and the University itself. If one person does not feel comfortable, be it the location, houses security or the room sizes, it is not fair to ignore their opinions. Keep looking until you find your perfect student house, and if you are struggling, hire the services of estate agents who specialize in student living. 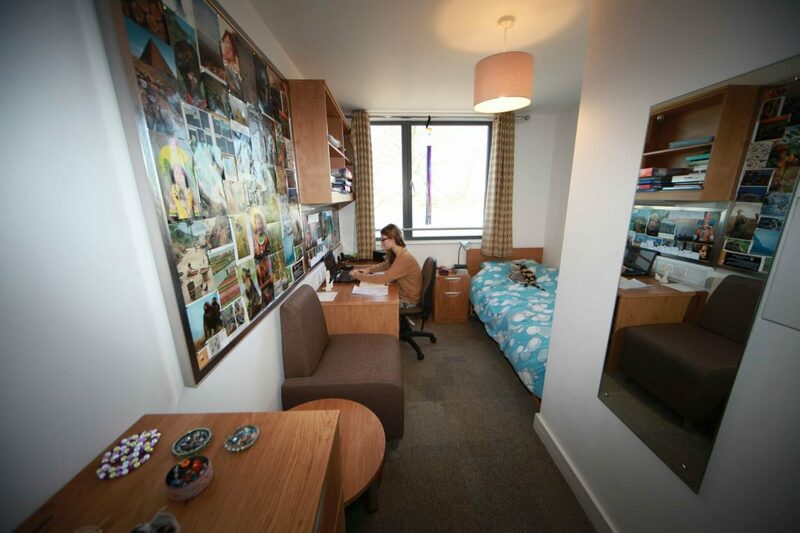 One of the best things about college accommodation is you share a space with students from all walks of life. It’s a great way to broaden your horizons and meet people you’d never have met in your home town; however, this blend of backgrounds and mindsets can mean that your apartment descends into chaos quite quickly. It can seem like a chore to clean up after yourself, but when you are sharing with others, you have to consider how your rubbish or belongings may affect others. When you have finished cooking, wash the pots and pans so other can use them. If you are finished eating, clean your plate and cutlery and store them in the correct places. Additionally, do not leave shoes laying around, or personal belongings spread across shared tables or couches. You may think it’s not a big deal to miss one rental payment, but you’ll soon see how it’s a slippery slope into debt if you’re not always on top of your rent installments. You’ll likely be asked to pay a security deposit for your accommodation, so bear this in mind when you’re budgeting. Some landlords can be understanding if you’re waiting to get paid or have an issue with cash flow. Their patience will run out, however, if you’re always using the same excuse and still missing deadlines. The last thing you want is the extra stress of being evicted from your college apartment. What’s more, it is unfair to put your housemates through such a tense situation.